I would like my twitter client to come with twitter speed numbers. I would like to know how fast my Timeline is moving in terms of tweets per hour. How fast my @mentions are moving. So then people would recommend say to get an ex number of people you follow until you reach a certain Twitter speed and then stop because otherwise you can’t possibly keep up. @mentions feed speeds would also be a measure of relevance of whatever it is you are tweeting. When I read articles like this one on CNN arguing how Wikileaks is providing potential target lists to terrorists I worry. Probably so do you. But think about this. It was so easy for all this information to leak out that we should all wonder how safe it was to begin with. If Wikileaks, without any special spying skills, just being there to collect info, could get all this sensitive data, why couldn’t have Al Qaeda or any other of our enemies have done or do the same thing? While we may object to the style of Wikileaks I have no doubt that thanks to Wikileaks, USA will completely rebuild the way it handles sensitive data and as a result the safety of the system will have been improved. 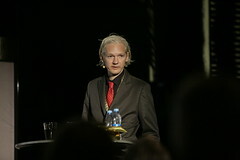 Wikileaks has the effect on security that hackers have on software development. Wikileaks found simple bugs everywhere. It is up to the people whose job is to make us safer to fix it. Yes, granted, Wikileaks could have given all this info to the State Department and not publish it. But sometimes it takes a shock like this for things to really change and what should be transparent be transparent and what should be classified be classified. Good news continue at Fon. Today we’re announcing a new collaboration with Skype, one of our first investors. At Fon, like at many other companies, we use Skype to talk to each other. I use it with my family all the time and I really think it’s a must-have application, so I’m really happy to announce we’re working with Skype to provide Fon WiFi via Skype Access. During the initial phase of this project, we are offering Skype Access at 300.000 hotspots around the world (except Japan and UK). Anyone with a Skype account will be able to connect to a Fon Spot using Skype credit. This is a great way to forget about inserting credit card details every time you want to connect. For ‘Aliens’, connecting to the hotpots with Skype Access is super convenient. Skype will search for Fon Spots, and when a Fon Spot is in range it will show a pop up window with the price per minute to connect with Skype credit. One click, you are connected, that easy. With this collaboration we take another step to make it easier for everyone to access the Fon WiFi network, which continues to be the biggest in the world with more than 3 million hotspots worldwide. The Skype Access collaboration is beneficial for our entire Fonero community. ‘Bills’ get to keep 50% of the revenues from their Fon Spots and ‘aliens’ get a quick and efficient way to pay for and connect to Fon WiFi. Ultimately, what we want is for Skype users to join the Fon community. All they need to do is buy a Fonera SIMPL (39€/$49) and start roaming the world for free!